They could not have been more excited. Fidgeting, squirming, giggling all the while trying to put on their acolyte robes. Was it because the Bishop was there today? Was it because it was a special service? Or was it that they were just totally fired up about being able to be a part of the church celebration?! The day before this I was able, albeit too briefly, to spend time with three groups of high school students. Each group had committed a significant portion of their weekend to being involved with a church activity. All, without question, did so with great enthusiasm. I later had the privilege of making a quick trip to Indianapolis to be part of training the General Convention Official Youth Presence. These 18 young folks from across The Episcopal Church, including Emma Grundhauser from the Episcopal Church in Minnesota, will spend close to two weeks this summer immersed in the governance of our church. They are not only doing so with great excitement but also with incredible passion. This Saturday at St. Mark’s Cathedral we will be having our 2nd Annual Bishop’s Family Day. 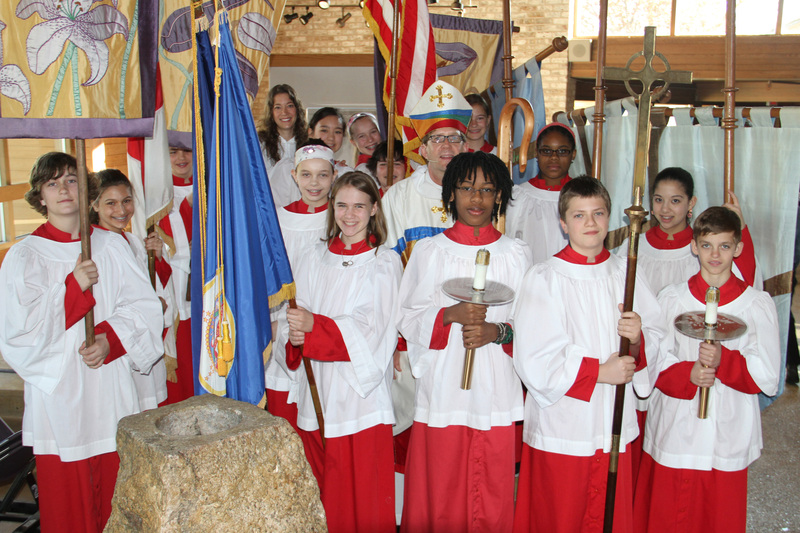 Last year this intergenerational gathering brought folks from throughout the Episcopal Church in Minnesota to Minneapolis for a fun-filled day of music, activities, learning and worship for all. For me, one of the most memorable parts of this gathering last year, simply put, was the infectious energy the young people displayed for all they were engaged with. Folks often ask me if I am anxious for the future of the Church. All I can say is that almost daily I am filled with Easter hope for the new life I experience with the young people of the Episcopal Church in Minnesota and beyond!